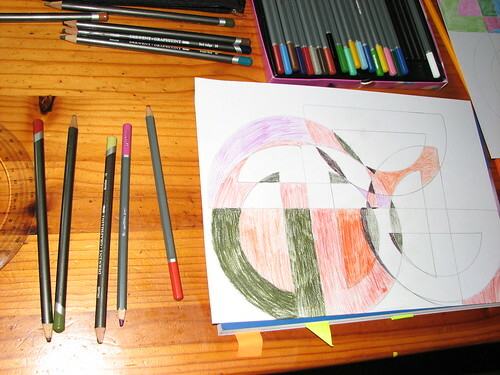 Posted by snoozerider in art, family drawing time, home education. Who knew you could make such beautiful art using a protractor of all things? 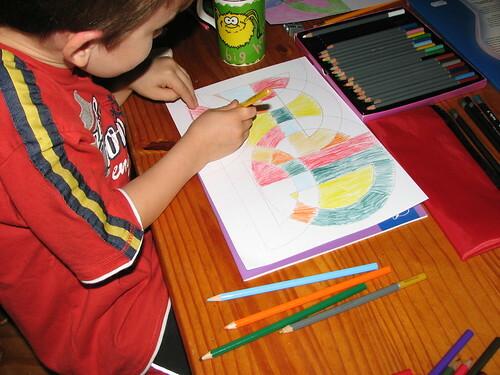 I found your comment on Art Projects for Kids – I’m a homeschooler as well and am planning to do this project later in the year with my four girls. Did you use coated paper as she recommends? Hi Queen Bee – thanks for dropping by! 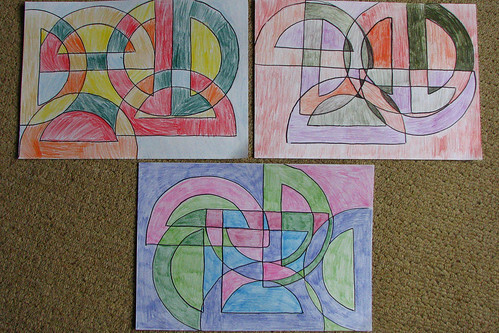 We just used ordinary drawing paper and colouring pencils (rather than markers) except for the outlines, which we used sharpies for. Hope your girls enjoy doing this as much as my boys did!